New Asian Travel & Transport, formerly known as Newsia Express Service Centre, operates at many parts of the world. In Penang, it provides more than 30 trips from Prangin Mall in Komtar and Sungai Nibong to various areas in Malaysia, Singapore and Thailand. With years of experience, they are able to continuously provide enjoyable and worry-free vacation to their passengers through their services which include bus services, ferry tickets, vans for sightseeing tours, hotel reservations and air ticketing services as well. Their 18-seater buses are equipped with personal televisions and a massage chair, for a comfortable travel experience, ensuring that passengers get their money’s worth. 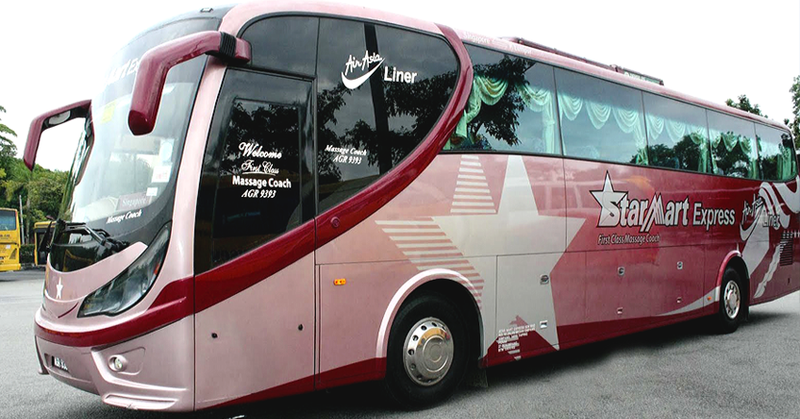 New Asian Travel also manages other famous bus operators in Malaysia, Thailand and Singapore. Among them include, KPB Express, Super Nice, Era Mesra and KKKL. CatchThatBus offers online bus tickets to many routes covered by New Asian Travel as well as seat availability features. You can book your bus ticket online from our website or via mobile app which can be downloaded for free on Google Play or App Store.